Okay so last year Glossier took the UK by storm. We had been waiting for months and it finally came after months and months of longing for what was already loved over the pond. I will admit I was on the site at 8am the day of the UK launch, I had my list, I knew what I wanted and my basket was full by 8.04am. 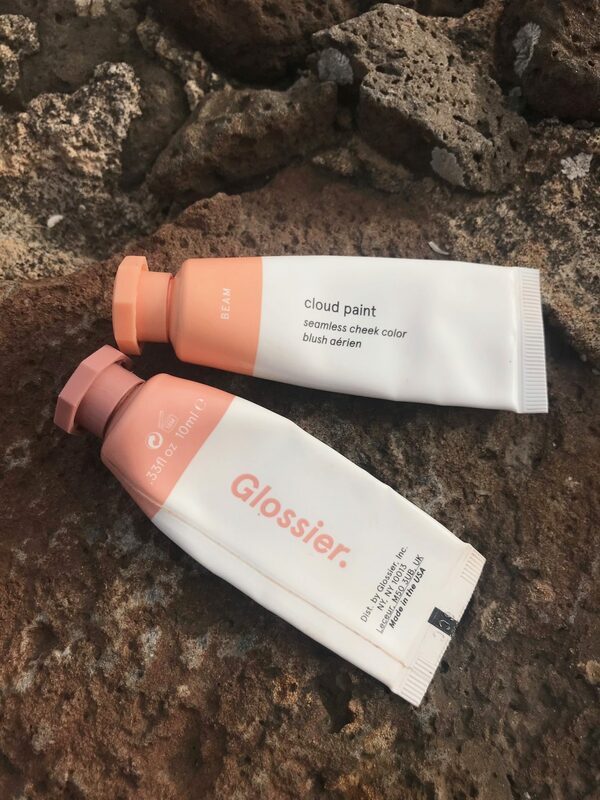 So clearly the hype was huge, now around 6 months after the UK launch I’m going to discuss whether I think Glossier is still worth the hype. 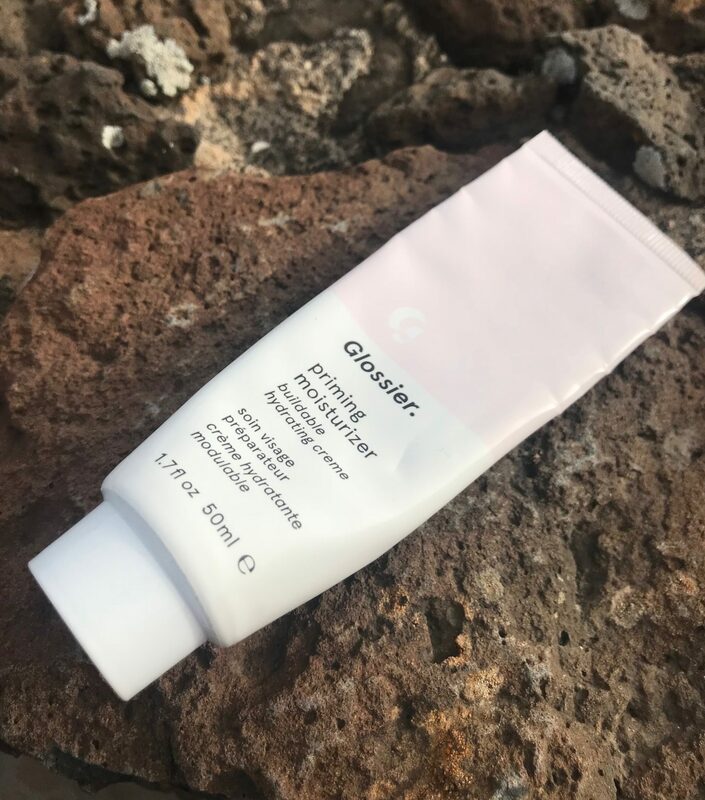 The thing is about Glossier is that we were all forced, in the UK, to buy based on recommendations and reviews from the Glossier website, on YouTube or in blog posts. There was no way to test the products in a store unless you happened to be travelling to the US. That’s why I thought it would be interesting today to revisit the purchases which I made, by essentially putting my trust in The Anna Edit, to guide me towards the right products for me! What Glossier Products did I buy? So, as you can see I ordered a mixture of skincare and makeup so I feel like I’ve got a good understanding of what the brand has to offer. My favourites are most definitely the makeup items, I absolutely love a minimal makeup look, especially for my base. One word to describe these products is glowy. If I want to look dewy and and healthy, then these are the beauty items I grab for. The Stretch Concealer moves with my skin which works really well for my dry under eyes which usually cause my makeup to crease. I’ve also heard reviews from people older than myself which suggests to me that it’s suitable for any age range. Having had success with the concealer, I’d be really interested in trying the skin tint as a lightweight skin base for the whole face as well. It’s also a great colour match for my pale skin, so if you’re pasty like me go for the lightest shade available. Haloscope is also perfect for adding a dewy appearance to the skin- it gives you such a holiday glow, I’ve used so much of this and I will definitely be repurchasing before this runs out. It’s so easy to work onto the tops of your cheekbones, the brow bone and cupid’s bow using your finger tips. If you don’t like using makeup brushes then this is the brand for you as the products lend themselves more to imprecise finger painting in effect. I also love the Cloud Paints, I already have some of these put to one side as backups for when they run out as I asked for them at Christmas, knowing full well I’ll never want to buy another type of blush again. Beam is a gorgeous peachy shade, whilst dusk is very much suited to my pale skin tone throughout winter. The best thing is the colours can be mixed together to create another additional shade- like paint. The consistency is also great, they can be applied using your finger tips or on a sponge, I love cream products on my dry skin and it’s perfect in winter when the weather makes it even drier! Perhaps my favourite of all the products I ordered is the balm dot com. I got my mine in the coconut flavour and it’s essentially just a clear lip balm, but as Rowan Atkinson would tell you in a Love Actually Style, it’s soooo much more than a lip balm. They do other scents, some of which have a slight tint to them but I feel like you just can’t fault this one. It’s highly hydrating and leaves my lips looking plump and moisturised. There’s nothing worse than a lip balm which makes your lips feel even worse after you’ve applied it then before. The smell is divine and I love it so much I also have a back up of this too! I’m usually incredibly fickle with lip balms, I’m not loyal to a specific brand or flavour but I feel like now I 100% won’t be straying away from this. The small tube also lasts an absolute age- I’m still on my first tube and I apply it near enough everyday, multiple times a day. A little bit goes a long way so it’s well worth your money! The Milky Jelly Cleanser was nice to use and I finished the bottle but I don’t think it’s a cleanser I could use both day and night for a long period of time. It was great in the morning when I wasn’t wearing makeup and it left my face feeling nice and fresh. However in the evening when I have a full face of makeup, I found my face didn’t feel completely clean. Yes, it breaks down the makeup, there’s no denying, but it just doesn’t feel the same as when I use my Liz Earle cleanse and Polish for instance. I think it’s because it doesn’t leave my skin feeling moisturised. If you have combination to oily skin this would be the perfect cleanser! I do think this is a great product but it’s just not perfect for me and my, dry as old snakeskin, face. I’ve seen recently that Glossier have launched some new products including Solution and Lidstar. I will admit that at first I was tempted by Solution, it looked like something completely different to any other skincare product I own. However I decided after reading lots of mixed reviews that it wouldn’t be suitable for my skin type. I’ve also decided not to try Lidstars either, the colours look lovely but to be honest I have enough eyeshadows to sink a ship so I really don’t need anymore, and I prefer to travel with a palette rather than 1 singular colour. This is not to say these products aren’t good, after all I can’t judge as I’ve not tried them, I just feel like the existing collection was perfect as it was anyway! 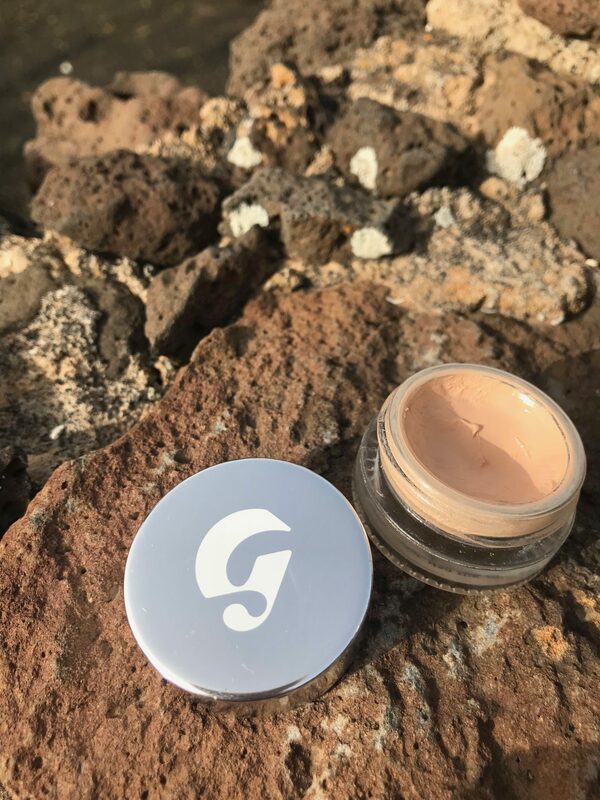 A skincare meets makeup brand, lends itself to base products which are creamy and glowy, and I feel that might not translate quite as well into an eyeshadow formula. What I’m getting at is that although I immediately purchased some items, I will not splurge on new items just because they are new. 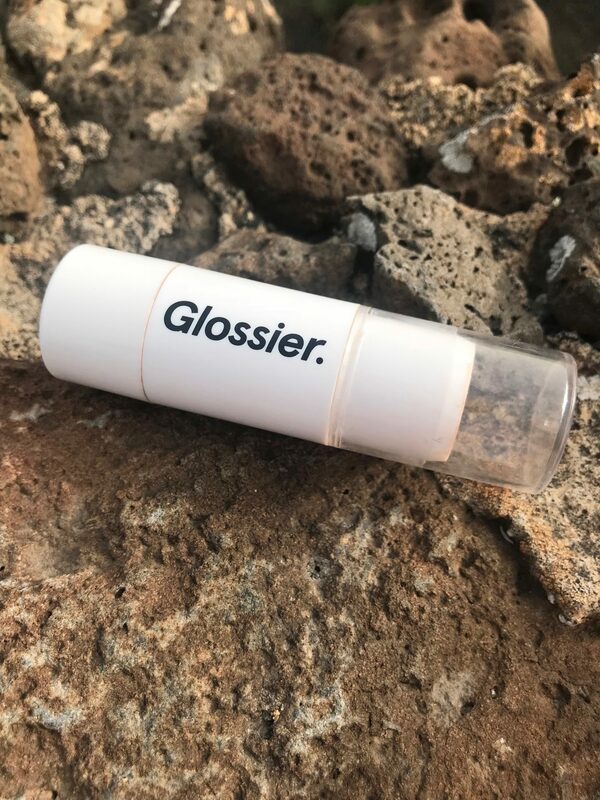 I think some of the products most definitely deserve the amazing reviews they have received, but I don’t think its sensible to purchase every single product just because it’s Glossier and it comes in millennial pink packaging. Overall I would say that some of the items I have tried are very much worth the hype; cloud paints, balm dot com, haloscope, stretch concealer- amazing! Others were okay but not the best thing I’ve ever tried. So all in all, it’s a little bit of a mixed bag but nothing is terribly bad, just not suited to my skin! I will probably purchase some different products in the future but I will be sure to read lots of reviews and consider my skin type carefully. At the end of the day when all said and done though, I do actually really love Glossier, and that’s that! 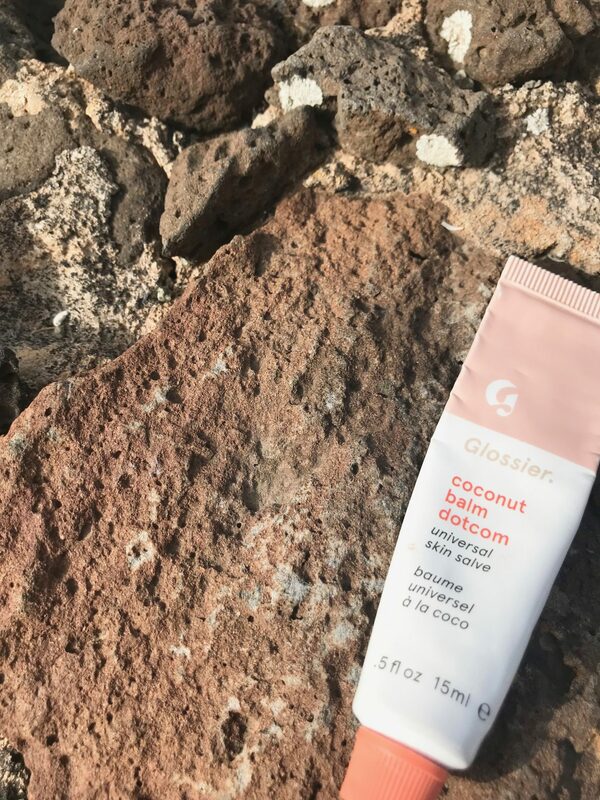 Let me know if you are still loving your Glossier purchases or whether you have buyers regret in the comments below!